Beachcombers Bazaar Henna Studio and Supply: New Sign for Beachcombers Bazaar! Woo Hoo! 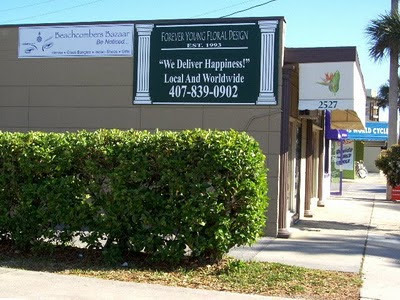 Check out our new store sign on the side of our building by Forever Young Floral. You can now see us when coming from the north side of Edgewater Dr! A big thank you to Angela and Vital Signs of Orlando for doing such a good job with the sign!